Jacob background encompasses the full scope of health and fitness in the club setting. He has been a personal trainer, sports performance coach, group exercise instructor, sales associate, sports performance director and fitness manager. With his experience and fitness knowledge, Jacob is able to lead all Razor Sharp departments as they strive to provide the best possible service to members. 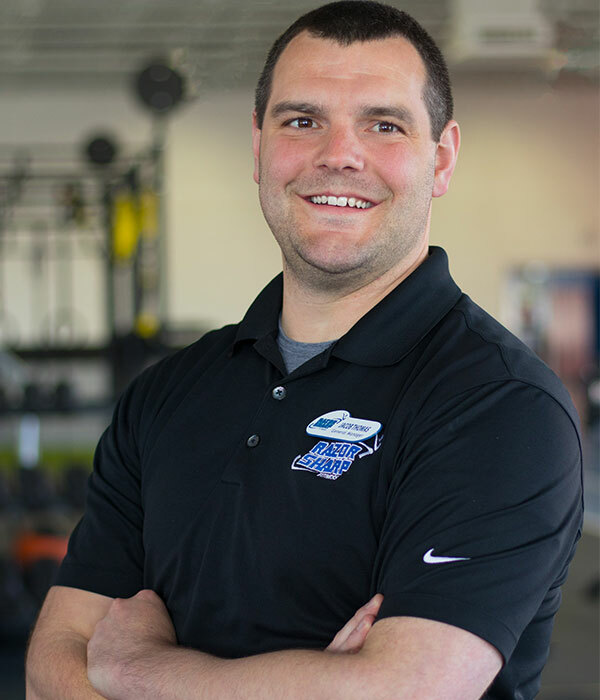 Jacob can help you with any questions you may have about all of Razor Sharp Fitness. 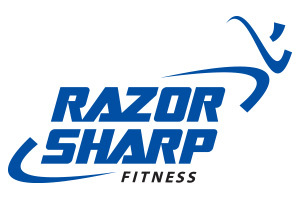 Razor Sharp Fitness has an amazing community of members who are active, caring and fun. Because of this, Jacob enjoys getting to know all of the members and talking to them about not only fitness, but all other aspects of the member’s life. 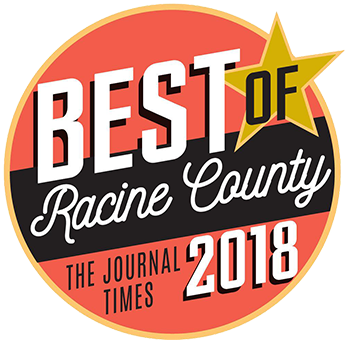 In the time Jacob has been here, he has been able to create some great relationships at Razor Sharp and also in the Racine community. 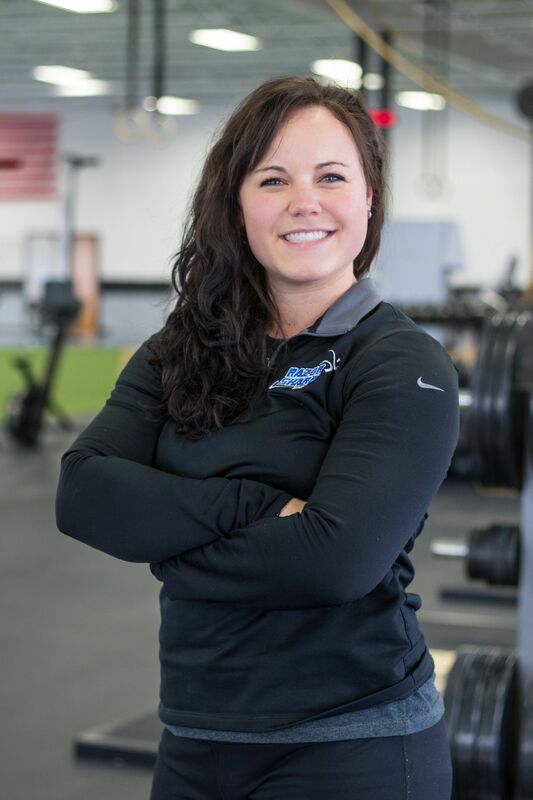 Along with a magnetic personality, Erie Street Manager Amanda brings numerous qualifications to the Razor Sharp Fitness team. 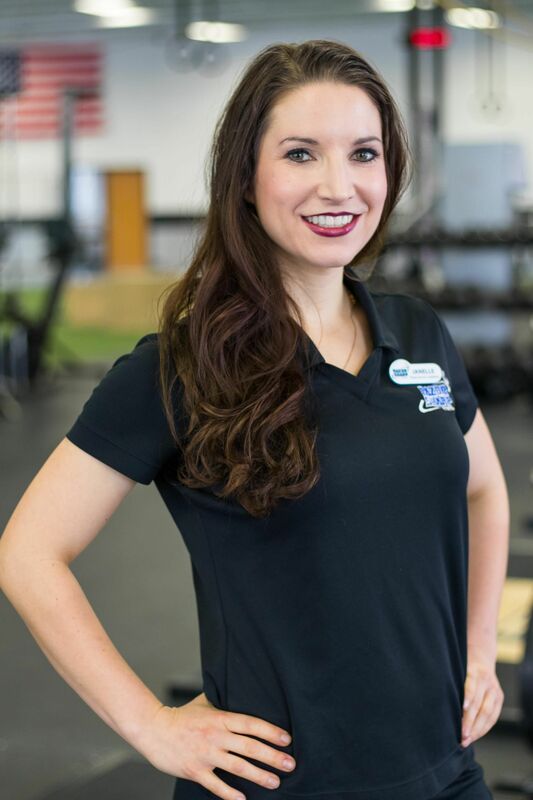 She is certified as a Personal Trainer from the American College of Sports Medicine, has certifications through Yoga Fit, Mossa Group Exercise instructor, and Silver Sneaker instructor. 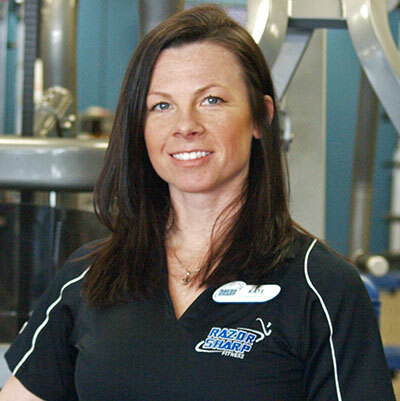 She has over 9 years experience in the fitness industry as an instructor and trainer, here at Razor Sharp. Amanda works to improve the health and fitness level of each member, regardless of age, skill, or limitations. Her goal for her team is to strive to drastically improve the lives of others through an effective, efficient fitness experience. Keeping ourselves healthier will help improve our quality of life! Allowing us to enjoy our families, friends, and hobbies. 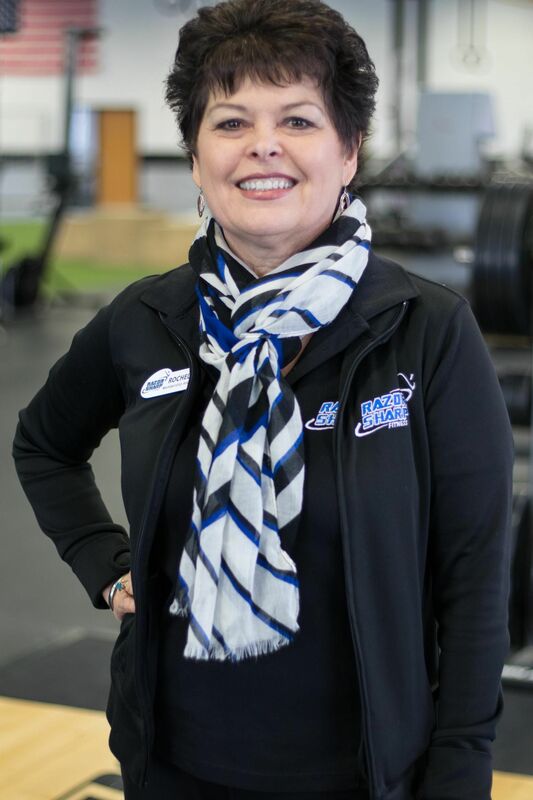 Rochelle is passionate about health and fitness and wants to help others to begin or maintain a healthy lifestyle, so that you can be your very best! She feels with regular exercise and healthy eating habits you are providing your body with preventative maintenance to live your life to its fullest! She has always been active and started taking it serious after the loss of loved ones from disease that she feels could have been prevented with diet and exercise. She has an Applied Science Degree in Management Development with a focus on Supervisory Management and HR with 29 years of experience in customer service, leadership, team building, training and sales, with 10 years as a Sales Director. Rochelle loves being a part of the Razor Sharp Team and she is personally committed to providing the best experience possible to members and guests. She fully supports our mission and core values. Feel free to stop by Rochelle’s office with any questions, suggestions, or concerns that you may have. Our members are the most important, and we are here for you. 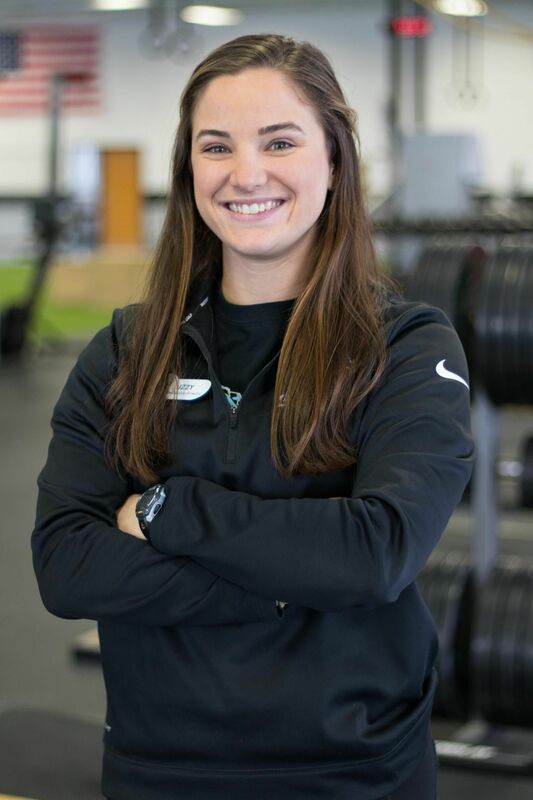 Izzy has many years of experience in the health, fitness, and sporting industries as an ACE certified personal trainer, fitness supervisor, sailing coach, and collegiate athlete. Izzy’s passion is to help people find a community that will support them to reach their health and fitness goals. She strongly believes that finding the right group of friends, mentors, and motivators will lead to success and empowerment. Feel free to drop by Izzy’s office if you ever have any questions or just want to say hi! She will be more than happy to help or chat about your health and fitness path.